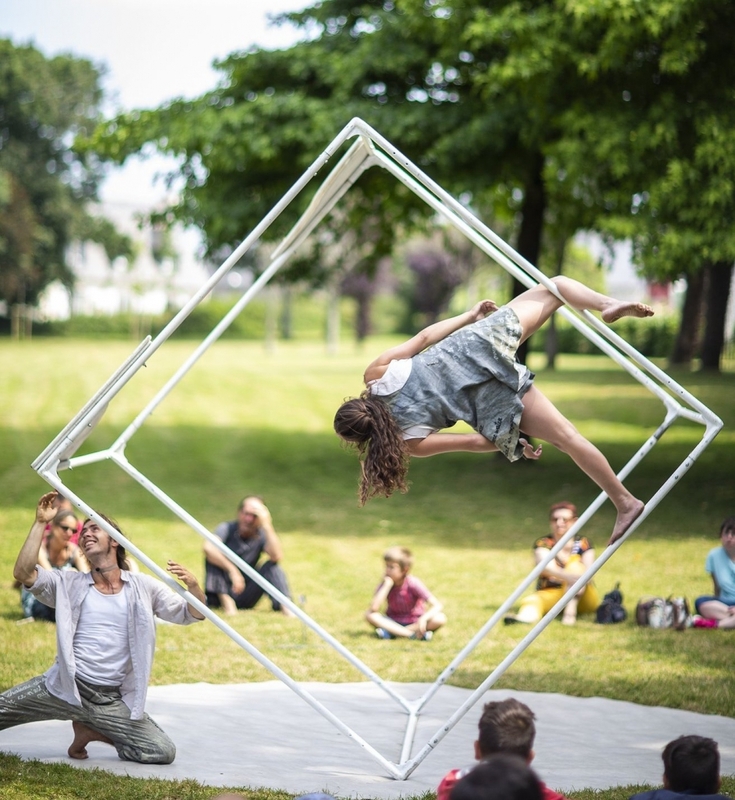 “Le grand O” is a company that defines itself at the crossroad of physical theater, circus, dance and music. Our mission is to have a scenically strong, visually engaged and poetic dramaturgy at the service of the story we want to share. Our body, voice, words.. all are carriers of meaning and instruments of action that we wish to explore both on and off the stage. Consequently, “Le grand O” seeks to also take part in creative innovation outside of the classical cultural environment, in societal organs such as participative democracy, city planning and ecological awareness projects, so that we can take part in the movement of our time and be open to the people who compose it.